I have come into contact with the University of Tartu and it’s business cooperations for almost thirty years, and I see that this is a continuously relevant topic. Universities can now contribute much more to business R & D and product development than before because we have the most advanced equipment to use and we have developed new collaborative methods. Although the extent of cooperation has increased by 1000 times compared to 1999, the expectations of both companies and society are even greater. That’s why I give entrepreneurs five suggestions from the university’s point of view on how our partnership can run even better. Why not cooperate if universities are opened to you and business ties are considered very important? There are more than 10,000 credible universities in the world and they can provide real support to every business. Since there are over 120,000 economically active companies in Estonia, an entrepreneur should not stay waiting for a letter from the university asking them to cooperate. If you know what your company needs, ask a solution from the universities. However, if you are still not sure which promotional options exist in the research world for your field, send the universities this question specifically. 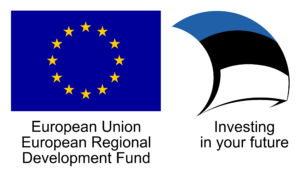 In Estonia, entrepreneurs can easily start communication with researchers at the Adapter (https://adapter.ee) network, which includes 12 universities and research institutions. The request sent immediately reaches out to all of the partners and you will receive an answer within five working days, whether anyone and who could help you in Estonia. The cooperation festival In the Right Place at the Right Time will also take place under the auspices of Adapter and next autumn the University of Tartu has the honour of organizing it. There are a lot of cooperative forms and one of them is a contractual cooperation, which universities are very interested in. It works best when you first create a team with the company and university representatives involved and start an eye-to-eye conversation in an informal setting. The mutual expectations must certainly be negotiated as they often are different: the company waits for the result, the scientist is interested in research; for the entrepreneur the project means cost and for the researcher an income. The company wants the results to remain confidential, but the scientist wants to make presentations at international conferences and write articles. These conflicting interests need to be understood, mutually acknowledged and recognized. Only after that, it’s time to agree on the legal details. It may happen that the cooperation project report ends with the phrase “All results were achieved, however, unfortunately, nothing certain can be said at this time, because three times more time and five times more money is needed”. Then you are likely failed when planning the collaboration, and most likely will never want to see at least that university ever again. Surprisingly, my own best practices of cooperation have been such that an entrepreneur calls me on the eve of the holidays and tells me what he is looking for a result. In response to the question “When is the deadline?”, I get the answer “Yesterday”. “Sure, the timer is ticking,” I’ll say and end the call. Even though the holidays are ruined, an interesting job and an additional fee await. However, we will finalize the contract when the work is almost ready. Of course, this level of trust is reached after many years of cooperation, but this is precisely the reason why I would advise you to start building a network. The company and the university can be mutually beneficial in many ways – contractual cooperation may not always be the best method of cooperation or the first motive of cooperation. As the primary goal of a university is to train wise and skilled people, do offer students scholarships for the company, invite them to work praxis, volunteer as a lecturer in a lecture course or to lead a seminary. All of this will require you to put in considerably less time and effort compared to immediately starting contract based cooperation. So, look for future workforce among us and attract some of our researchers to come and work for you. For a smooth work together with businesses, the UT has its own affiliate program (https://eik.ut.ee/ettevottele/partnerlusprogramm/ ). Knowledge and skills are the only resources that will not reduce but instead will increase when used. Take into account, that mere state support does not guarantee the outcome. Firstly, grants are usually subject to very high limitations, and secondly, such a project requires large-scale self-financing. By the way, in science, it is often such, that I can offer the company a result of 10,000 euros with 90% confidence and a million euros with a 99% confidence. Sometimes 90% confidence is also a good enough result. If you plan to ask for support from the state, you need to prepare a long, well-defined application, with volume often up to 5% of the cooperation. If the application is approved, you must comply with the project plan with punctual precision, although there is usually a need to change at least something within the first month. There is always a risk that any deviations from the plan will result in a refund request. Thus, first discuss the university’s opportunities thoroughly, instead of rushing into an immediate assistance request. If you as an entrepreneur have not received a clear answer from your selected university, please contact the management directly. At the University of Tartu, I am waiting for your letters and calls as the vice rector for development (erik.puura@ut.ee, 506 9882). In the course of my six-year term, I have responded to all questions and suggestions that businesses have had practically within one business day. No question is foolish, no plan is futile.